On an epic quest, who would you want by your side? We here at GeekyLists recently got asked what we had against fantasy, nothing. 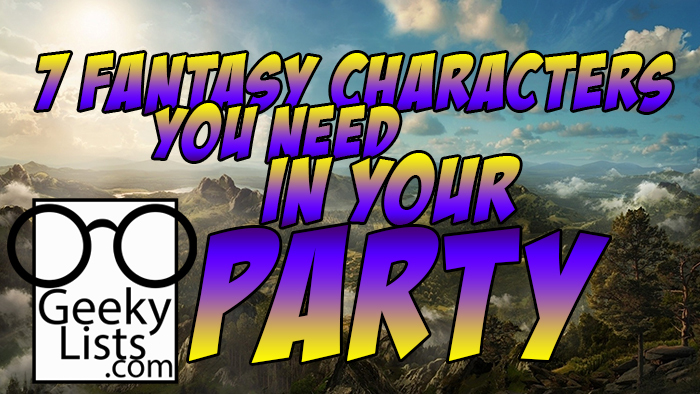 So in the spirit of showing love to our fantasy fans, we decided to try to make the ultimate party for a fantasy adventure. The rules are simple, one character per movie, any fantasy movie is in play as long as it is sword and sorcery, justification is up to the advocate, and the goal is to end up with a fully balanced dungeons and dragon type party, so personality is also a factor. Without any more distractions, let us head off. What did Jack just say? The wizard of all wizards, the wisest finger wiggler I could find. 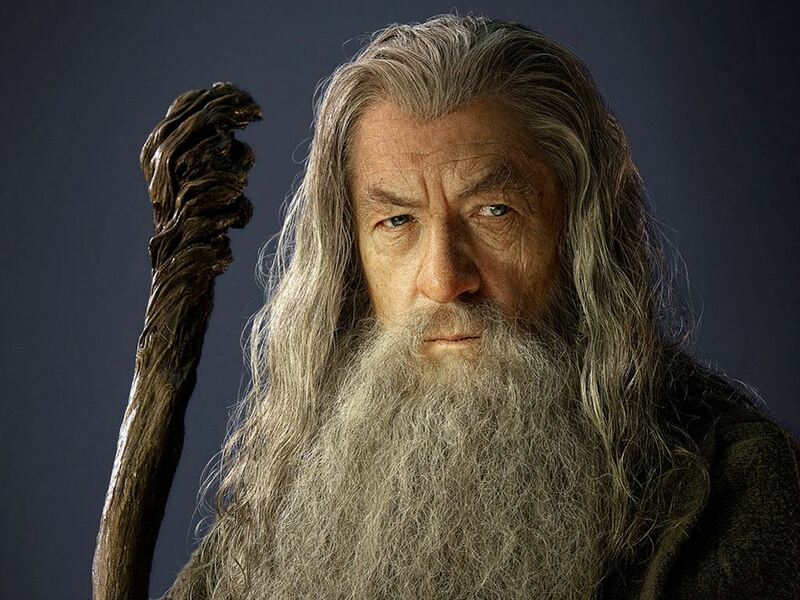 I think Gandalf is kind of a given, he can take a Balrog and awaken ancient creatures. I would put Gandalf up against any wizard and pound for pound you are not getting the power, the presence, or the chill. World shattering magical power aside, Gandalf is also extremely laid back by most wizard standards. Ok first, I know according to the story Hermoine is a wizard, but one look at your average hogwarts wizard lunch will tell you those kids are charisma based. They also don't memorize spells ahead of time, and generally don't use that wide a variety of spells. Why not Harry you may ask? simple, Hermoine is the stronger magician, and bails out the other two a lot. She might be a little annoying because she is a bit of a know it all, but she makes up for it by usually being right because...shes a know it all. Aside from that she shows a lot of empathy and in contrast to some of the other sorcerers I looked at, she doesn't let her power corrupt her. I think the inherit sense of team work she brings to the group is almost as useful as the magic. When all else fails, feed them to Conan. He is notable as being as team oriented as he is deadly, in a world of too wild or hard to contain wild barbarians, he shows guile and strategy. Combining that with a giant sword and enough brute strength to literally crush his enemies, I don't see any other melee fighter taking this spot. He can sneak, he can improvise, and when the time is right, he can yell to the heavens and cut a person in two. He is just pure raw hack and slash power on top of everything else. 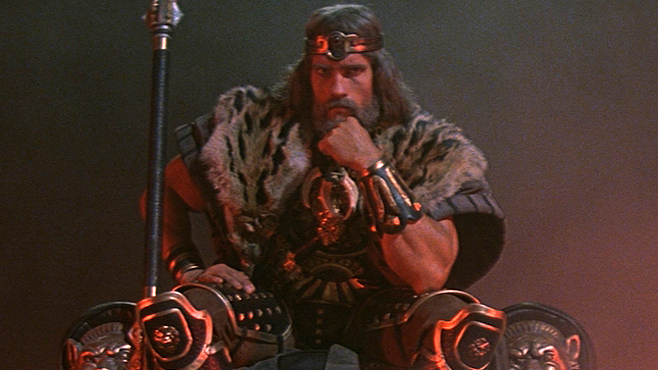 Anyone trying to get in the way of Conan is basically just begging him to hear the lamentations of their women. Why do we have a compass that only points at Hermoine? 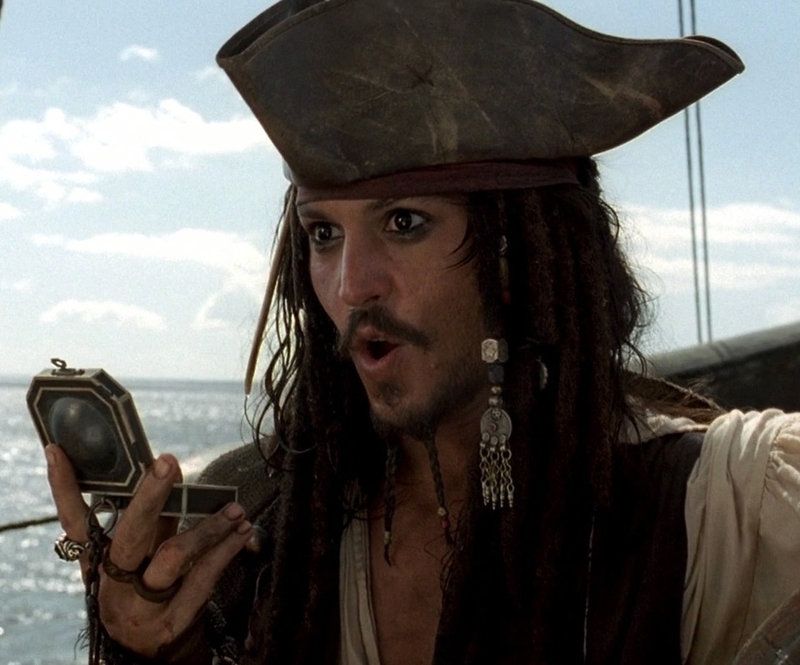 Jack Sparrow is the ultimate rogue, even Jack Sparrow doesn't know exactly how he is going to pull things off, and yet, he does. Good with a blade, better with the rum, his constant inventiveness and ability to spring fatal traps without doing so fatally brings a whole lot of value to the group. He can also run a ship, which is a big plus to an adventuring party, as well as being able to play the very big picture as deftly as the small. The amusing antics and the constant witty retorts are just flavoring on top of a very good meal. 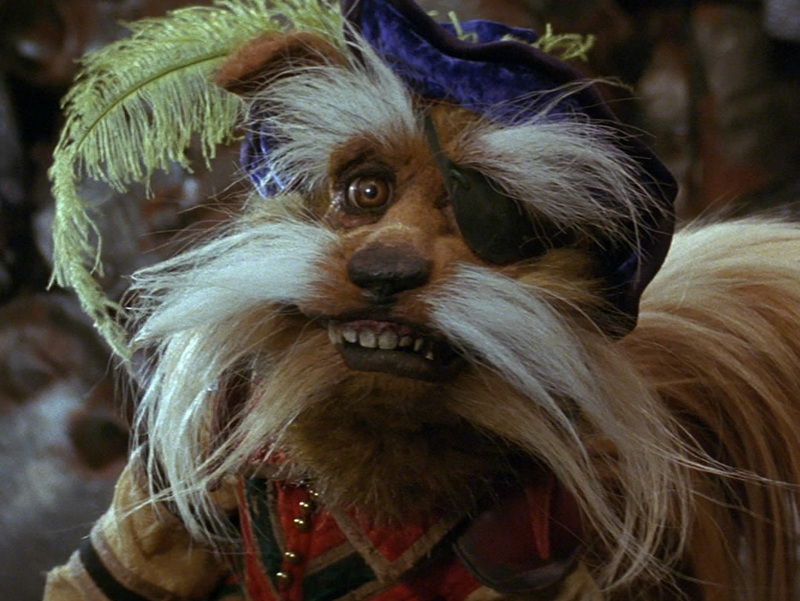 I saw all the eye rolls when I mentioned Sir Didymus, but then I made a lot points. Sir Didymus is fearless, completely, he fought every time with all he had without wavering in the slightest. He even got the best of Bluto, who is easily 20 times his size. He never broke his code, and even when facing 40 enemies, he offers to let them surrender. He also has his own mount and can proficiently charge attack with it to devastating degree. In a world almost completely controlled by a goblin king, with ARMIES against him, one small fox-terrier said no, one knight chose chivalry, and that knight took on all comers. That is Sir Didymus. On an adventure, having someone immune to fear effects, who will fight no matter what to the last breath, and never stop trying to save his party, ever, is a huge boon. He is a bit of a wild card, I can't see anyone 100% sure that Sir Didymus and Ambrosius COULDN'T pull off whatever they really needed to, and that is why he is on the list. He'll probably kill you in the morning. 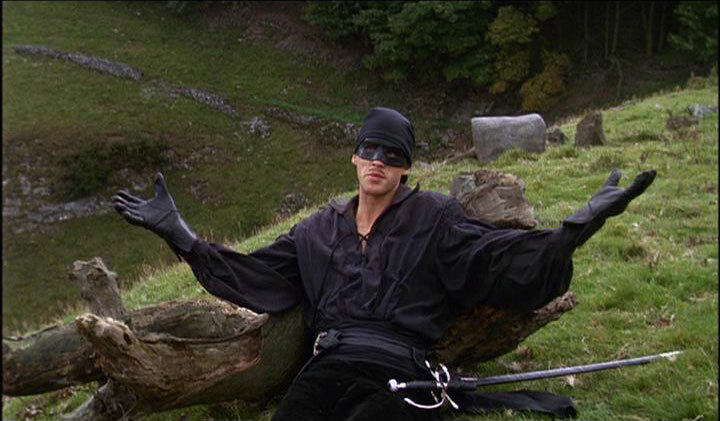 Delivering one of the best sword fights ever captured on film, Westley taking out Inigo Montoya also took out any doubt of anyone besting him with a sword. Using more styles and tactics than any one sword fighter should be able to know, his mix of intelligence and raw ability would make him the best sell sword in the history of sell swords. A party with The Dread Pirate Roberts, is a party that does not lose sword fights. In an ocean of fighters, he stands out as the only one I have seen win a fight while actively paralyzed. His ability to hold on to life to the very last shred and then mount a comeback is legendary, a considerable foe even after being mostly dead all day. The face of being forced to play a cleric. 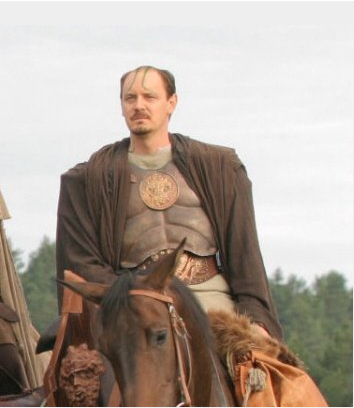 Had to resort to a dnd movie in order to get a cleric, there is none, what the hell fantasy movies? I guess no one want to play the cleric. He is neutral, likes Obaid-hi and he is kind of healy, hes also the highest level cleric (7!) I could find in a sword and sorcery setting, so...heres Dorian. This is not on me, this is on fantasy. As always, thank you for reading, if you enjoy this post please share it, if you enjoy the site, you can follow us on all major social media platforms by the symbols at the top right of the page. Stay geeky.